The quote above is absolutely so true. I walked in their office and felt like I was one of their own hometown patients. I liked the fact that it was a nice office in a quiet part of Bremerton and not in the hub-bub of congested downtown Seattle. I didn’t have to worry about where to park the car. All the staff was warm and friendly and went the extra mile to make my appointment longer so I could have plenty of time for a complete evaluation and discussion with Dr. Gent since I had traveled so far to get there. Even though I was a brand new patient to their office, Dr. Gent walked in the room and immediately was in the moment with me as though he had already met me many times before. He reviewed my videos as posted in my prior blog pertaining to my ankle x-rays and chiropractic adjustments. I did not feel like I had to convince him of my physical complaints as he did show great concern for what concerned me. He had respect for my chiropractor’s findings.Without my long history of chiropractic intervention for the past 20 years, I would not be where I am today in getting to the root of my problems. 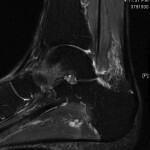 Here are selected images as referenced in the MRI report. 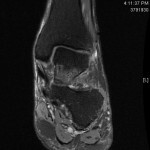 The first two show the fracture/sinus tarsi and the third image on right is significant pre-Achilles swelling and edema. Sept. 7-8, 2013 – My husband and I had a wonderful weekend visiting friends on Silver Lake and dinner in Edmonds on the water north of Seattle. Mentally, I enjoyed a walk in the mall and swimming in the lake because I wanted to have my last hurrah’s in case the MRI truly revealed a major problem. Physically, my left ankle/foot was doing okay for first hour and progressively went down hill with increased pain and swelling. My right foot was slightly aggravated too. Sept. 9th, 2013 – I received my copy of the MRI report and I also saw my chiropractor, Dr. Sheldon, to align my ankle again after the wonderful weekend in Seattle. Dr. Gent called me in the evening to go over the findings. Please see my “I Surrender All” Blog for the entire spiritual/emotional side of how I handled the news of the MRI. To keep it simple here, I certainly was not jumping for joy. I was informed by Dr. Gent that I needed to go back to Dr. Brockbank in Spokane and be immobilized and start 8 weeks of non-weight bearing in order to heal the non-displaced talus fracture. When this was healed, I could then return to Seattle for Dr. Gent’s surgical intervention with the HyProCure stent to stop the excessive motion of my Talus on the Calcaneus. This excessive motion and misalignment of the bones and my sporting activities combined are the best educated guess as to how the fracture could have happened as there was no one direct moment of fracturing the bone from my recollection. Dr. Gent suggested that I could have landed on my foot too hard when dismounting my horse at some point and started a stress fracture. 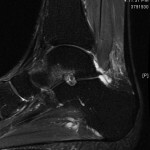 He said the MRI suggested that the fracture was within recent months or the images would have been different. He sincerely had empathy for my situation and I certainly appreciated it! Sept. 10th, 2013 – I was already scheduled to see Dr. Brockbank this next day anyhow. So I went in and he too confirmed the fracture on the MRI and he immobilized my left ankle/foot with a short leg fiberglass cast. Then with crutches and a knee scooter from Owl Home Medical Supply in Lewiston, ID, I started again being non-weight bearing for the second time around. 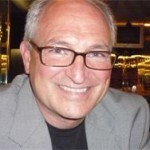 See my www.fibularpain.com blogs for the prior non-weight bearing experience this past year. Oh for joy!